How To Online Generate Invesco Mutual Fund Account Statement? Finance Guru Speaks: This article will guide on how you can generate Invesco Mutual Fund Account statement online, considering the fact that you are an existing investor of this Fund house? 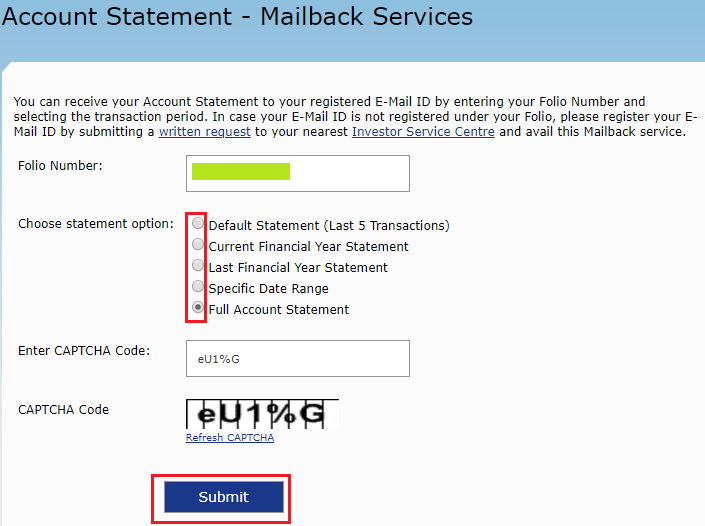 You are required to have a valid email ID registered against your Invesco Mutual Fund Account. You can register at the time of Mutual Fund purchase from this Fund house or can approach fund house later too. Congratulations! You have successfully generated your Invesco Mutual Fund Account Statement online and you will receive it on your registered Email box. Remember to open this Account Statement by using your PAN No. in capital letters. Alternatively, you can also generate consolidated Mutual Fund Statement and can view all the fund house folios statements for a given registered Email ID.